This is just about the most detoxifyingly delicious salad I can think of. It’s perfect for winter and feeling like it won’t be snowing forever. 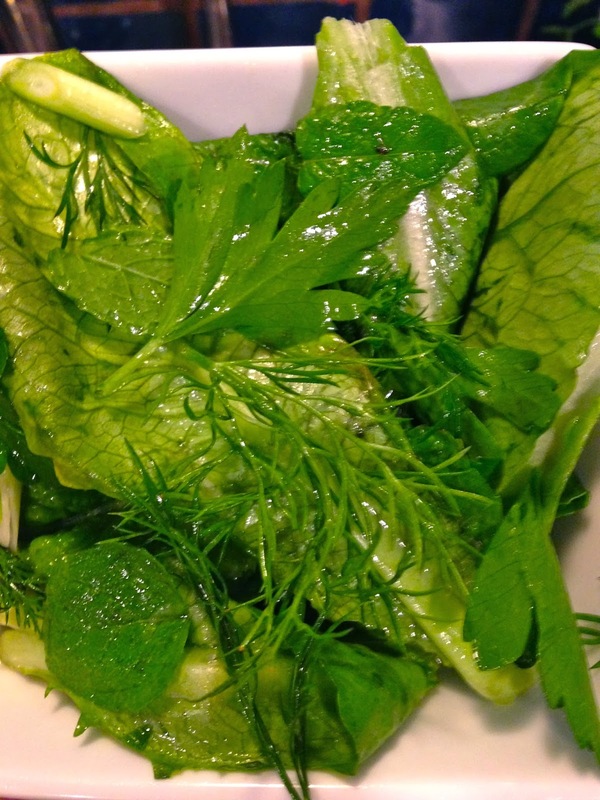 There’s an equal mix of lettuce and herbs, and a light lemon dressing is, as always, my fav. 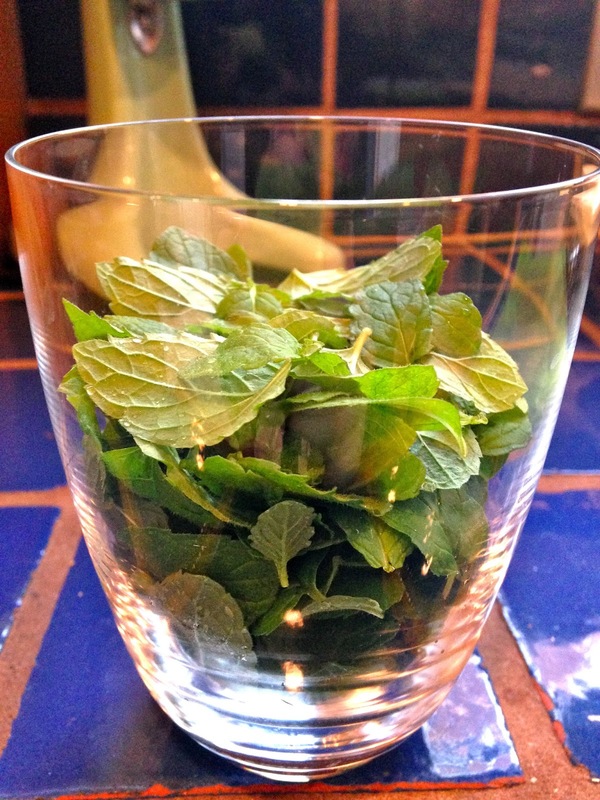 Thanks for Colly Doll for the recipe – enjoy! 1. 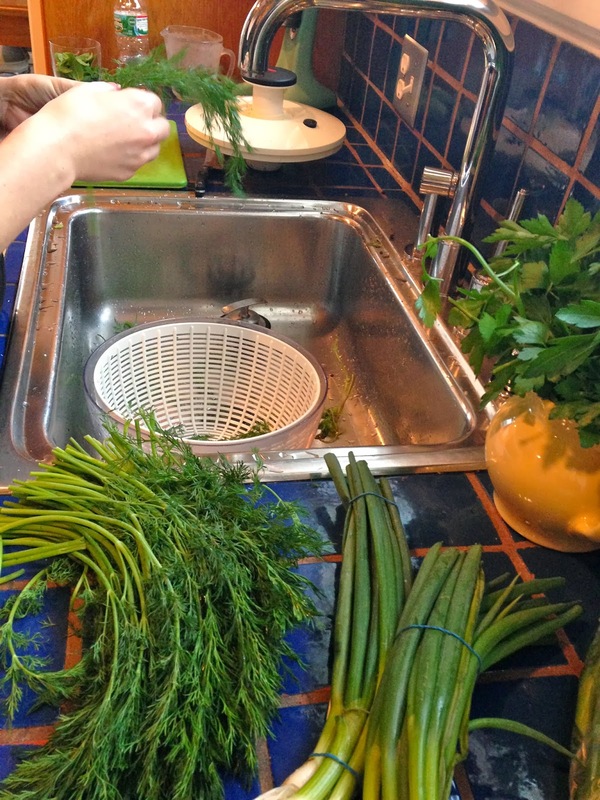 Pull apart (don’t chop, this will be prettier) the herbs into equal amounts. 2. 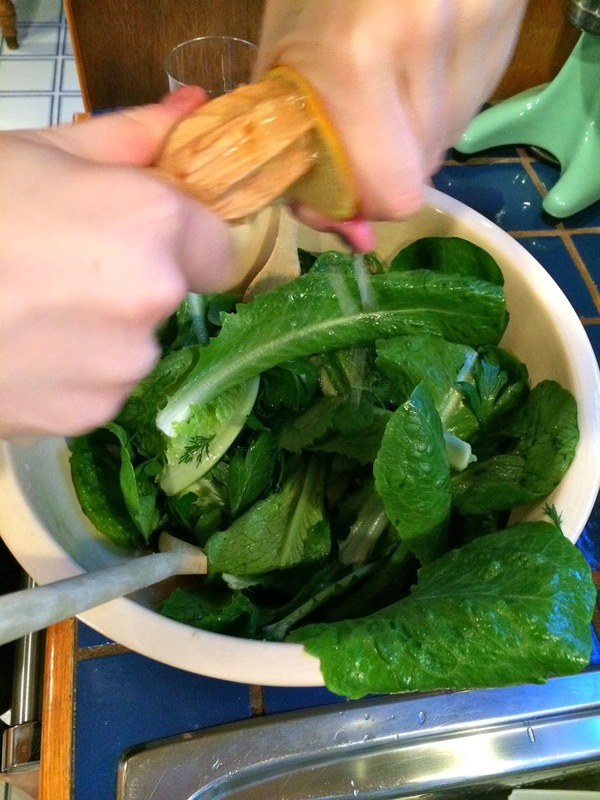 Add everything to a big bowl, then add romaine – torn, if you want. 3. Juice a lemon over the salad, then add EVOO. Top with Kosher salt and gently mix all together. This entry was posted in detox, fresh, gluten-free, herbs, lemon, paleo, salad, vegetarian, winter on February 18, 2014 by westyn. Oh, did you overdo it with all the food on Superbowl Sunday? Me too. 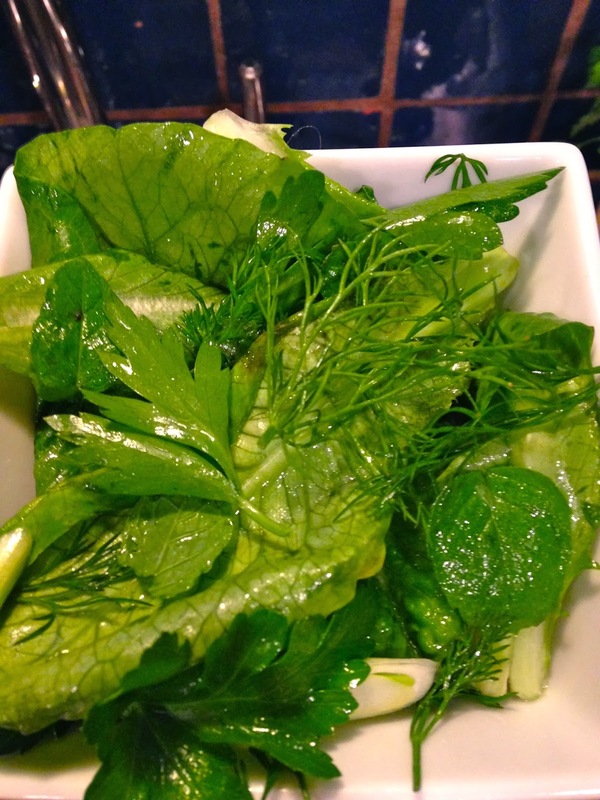 I needed a serious detox meal the next day, and this salad was pretty perfect. It’s super easy, healthy, completely delicious and fun to eat. 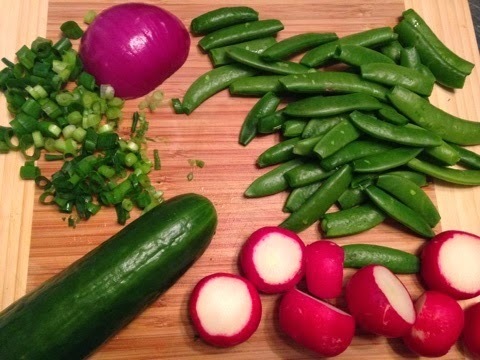 You can use whatever veggies you want, but try to get a couple different colored ones to make it look pretty. 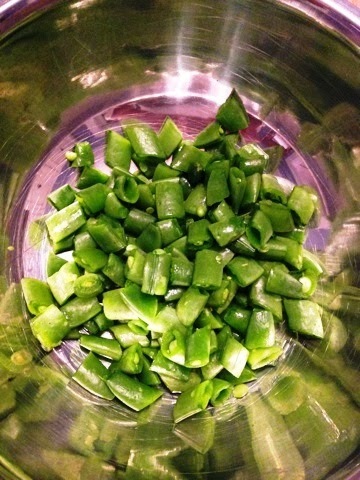 I also strongly recommend using sugar snap peas, because man, are they ever satisfying to eat. Crunch crunch crunch. 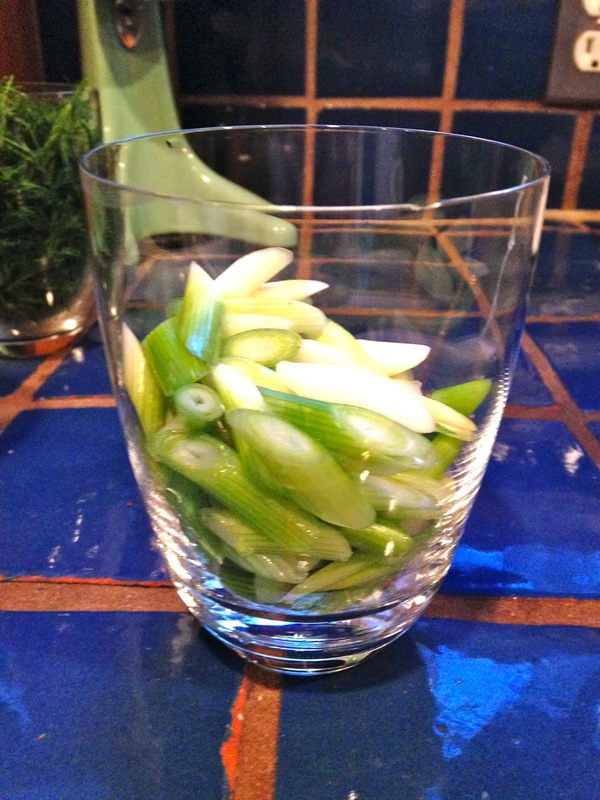 – 1 cup each of 4-5 different kinds of veggies, chopped into pretty uniform pieces. 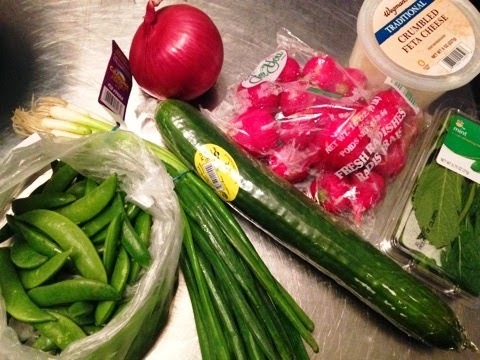 I used an english cucumber, sugar snap peas, radishes and red onion. This is a really tough recipe. Ready? 1. 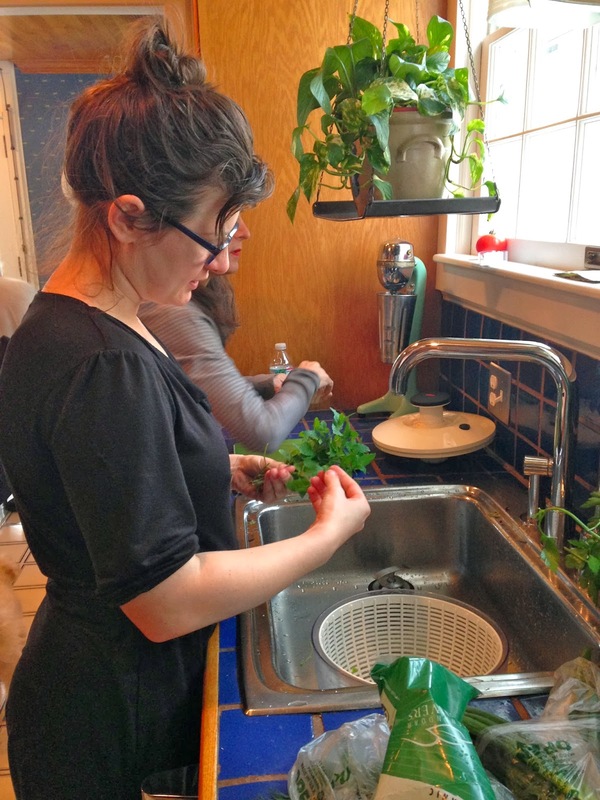 Get all your veggies cleaned. 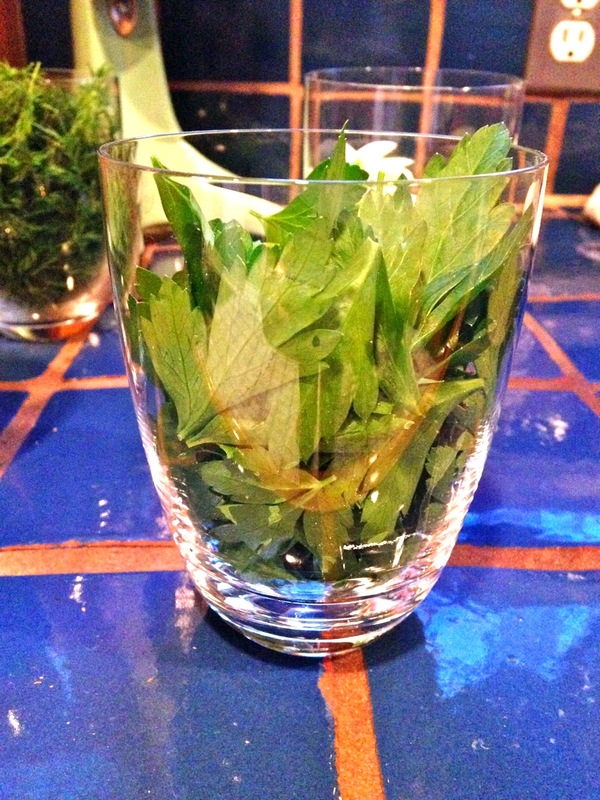 Chop into similar size pieces and throw them into a bowl. 2. 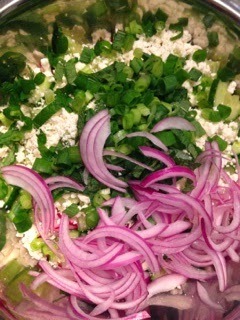 Add the feta, mint and the scallions, mix everything together. 3. 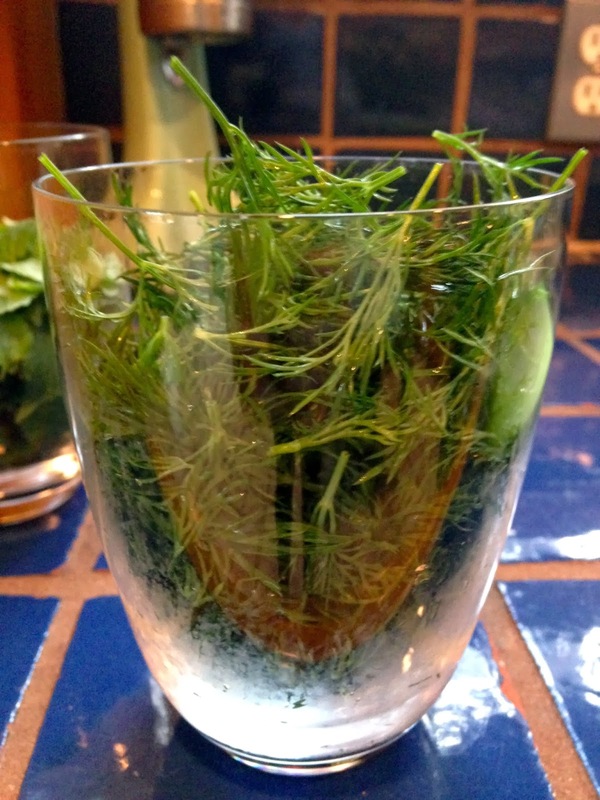 In a different container, combine the lime juice with the cumin, salt & pepper. Stir to combine. Add the olive oil and mix it all together. 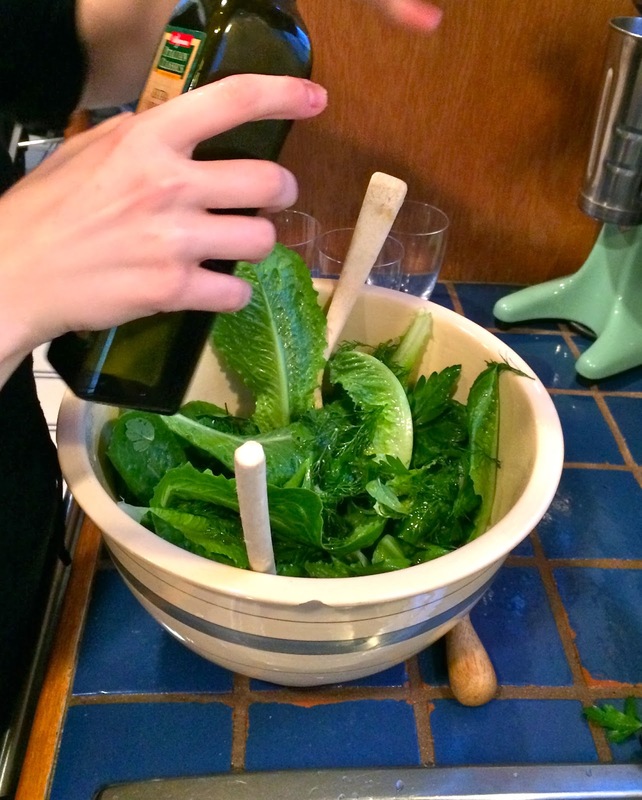 Just before serving, pour dressing over the salad and stir everything together gently but thoroughly. 4. Serve. We had this with salmon burgers with avocado slices and a dill sauce on sourdough-rosemary bread, and oh, my god. This dinner almost cancelled out the over-indulgence of Super Bowl Sunday – I probably felt almost as bad as the Broncos did by the end of the night. You’ll get them next time, Colorado! 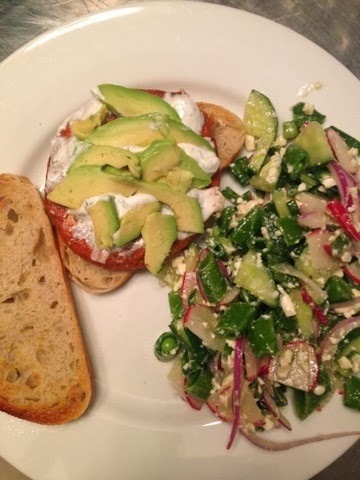 This entry was posted in detox, feta, gluten-free, lime juice, mint, paleo, salad, super bowl, vegetables, vegetarian on February 5, 2014 by westyn.